The first official day of fall might be tomorrow, but fall has been in the air all week! The temperature has hovered in the 60s this week and I haven’t minded. It gave me the chance to pull out my favorite cozy knits sweaters and scarves! I have a few essentials that my fall wardrobe would not be complete without. At the top of that list…? 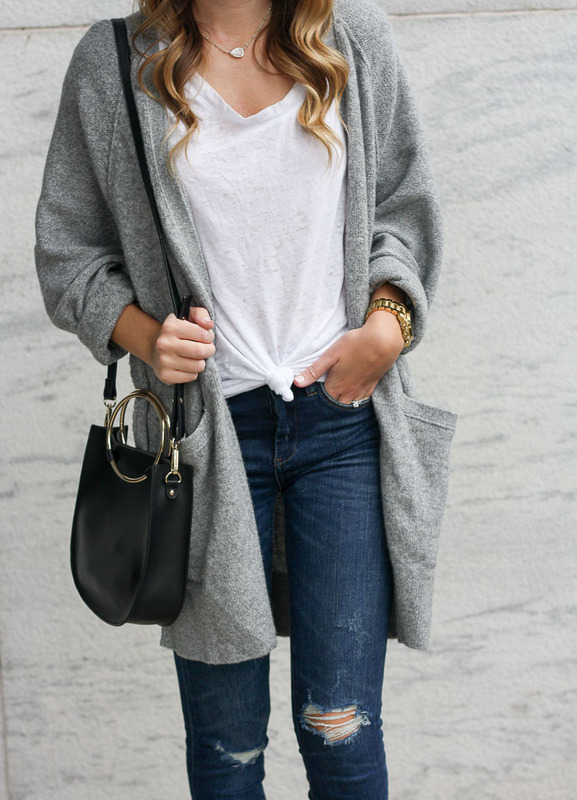 A grey cardigan! 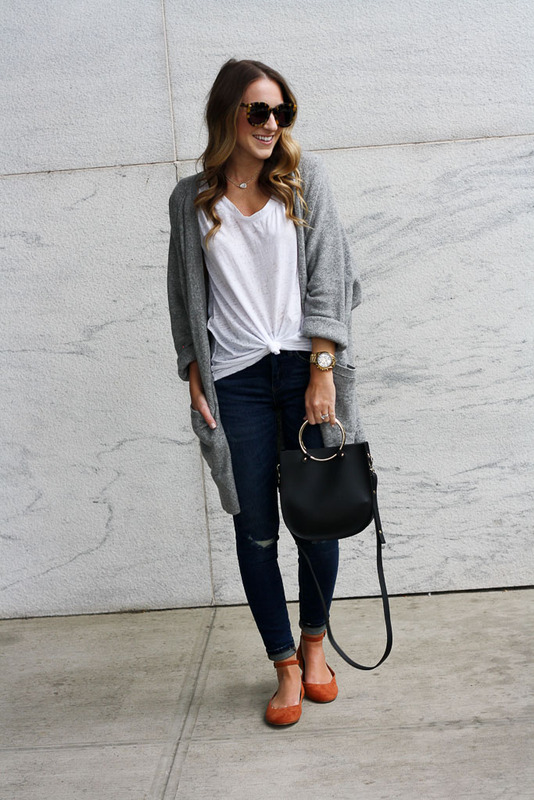 Every year, I invest in a new grey cardi and it is ALWAYS the most worn piece in my wardrobe! Grey is the most versatile color, as it’s easy to pair with just about anything! This year, the moment I saw this Treasure & Bond option at Nordstrom, it immediately went into my cart! 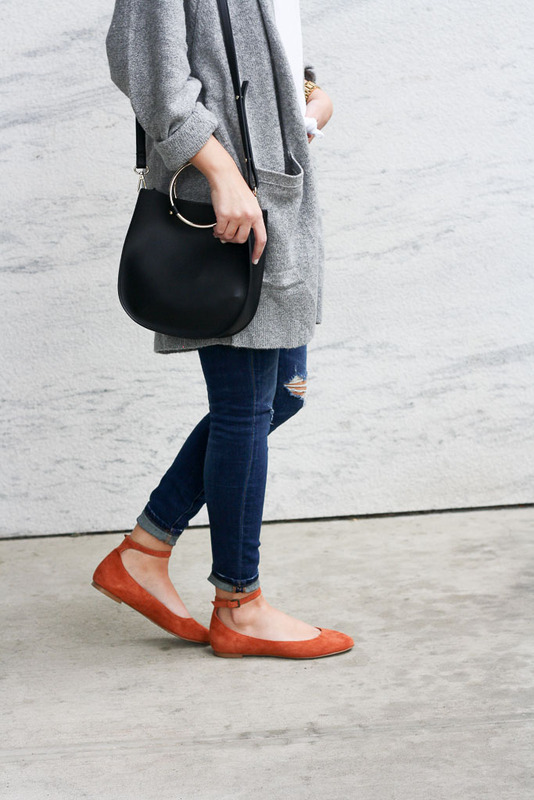 I adore the slouchy, oversized fit, the slightly marled fabric and the larger pockets. I knew it would be perfect for work and the weekend, and I’ve already worn it multiple times, paired over dresses and skirts and with my favorite denim! Treasure & Bond is one of my FAVORITE exclusive to Nordstrom woman’s brands. Reasonably priced, Treasure & Bond offers quality pieces that don’t break the bank. I love that their pieces are often classic, but have a trendy spin that is not too over the top. 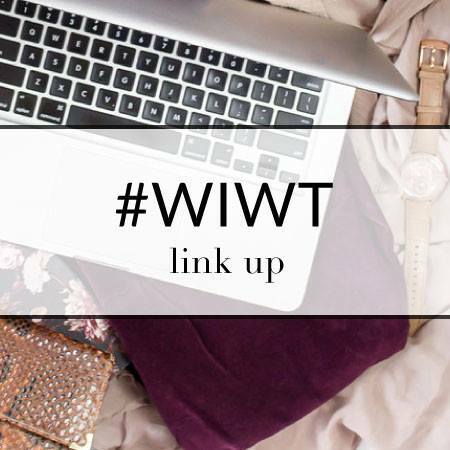 This is a great way to try out the top trends and not worry about them going out of style too quickly! One Treasure & Bond item that I am OBSESSED with are their $25 tees. They are so soft and comfortable and you can’t beat the price! The best part of Treasure & Bond is their “give back” incentive. With every sale, a donation is made to empower youth. Currently a percentage of sales are being donated to the YWCA. As a teacher, this is something I can FULLY stand behind. Who doesn’t love shopping for a good cause?! 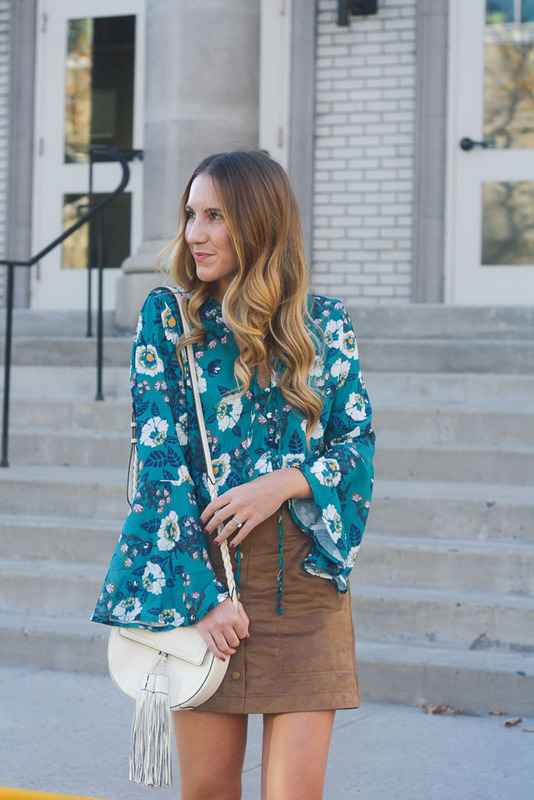 Yep…I’m wearing this suede skirt again! It’s definitely one of my favorite purchases this fall! It goes with everything and I am excited to pair it with leggings and tights in the cooler months. 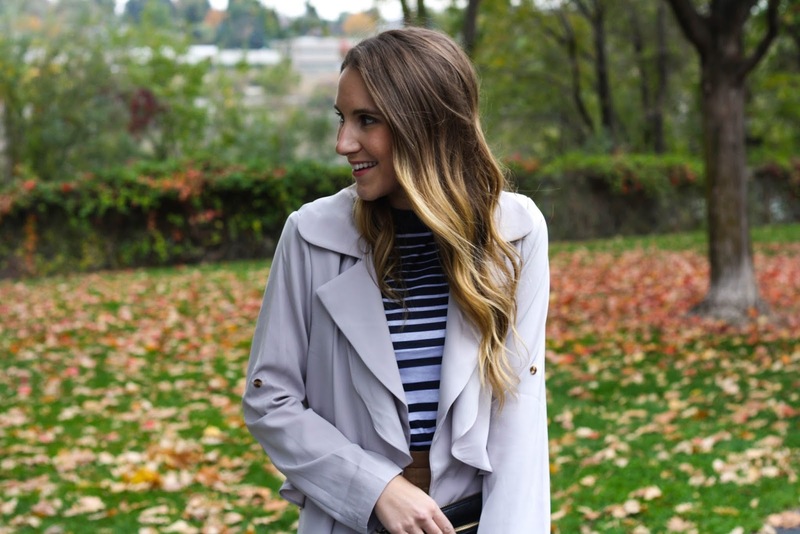 For a warmer October day last week, I paired it with a stripe turtleneck top and a lightweight trench. This trench has been such a perfect addition to my wardrobe, as the weather has been chilly, but still unseasonably warm. This is the perfect lightweight jacket to throw on and go, and I am absolutely obsessed with the color that goes with just about everything!